Put your hair up like you are going to put it half up and spray the back with hair spray and pat dry. Next, take a smaller section of the top and spray that two while patting until dry. Next, separate your bangs from the rest of your hair and gently start to pull your hair back into a ponytail trying to make it look as natural as possible. Secure with a rubber band. Spray your bump with hair... Comb the hair and make a high ponytail. Place your ponytail on the top of the head and put its ends through the tool that you have chosen for your bun. Begin to twist until it reaches the base of the ponytail. Divide your hair into three sections. Create a low ponytail with the back layer using an elastic. Leave the sides of the hair down for later use. 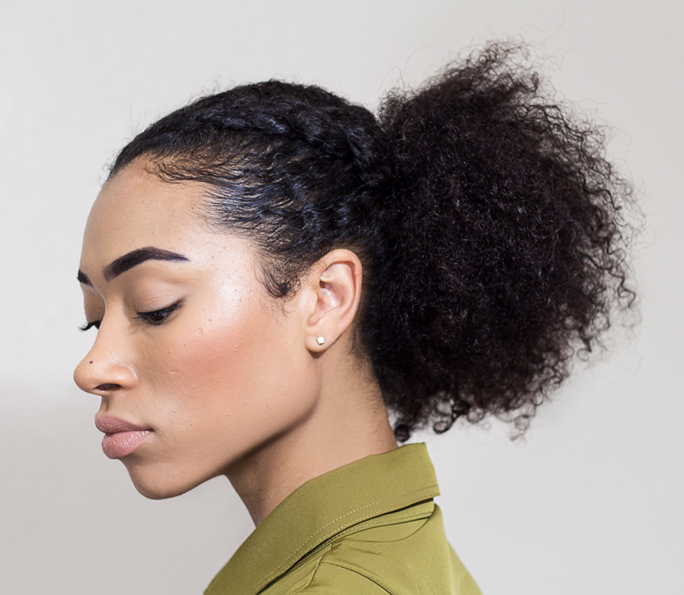 This technique allows you to get a better grip on short hair and allows you to build a ponytail free of bumps at the crown. Comb the hair and make a high ponytail. Place your ponytail on the top of the head and put its ends through the tool that you have chosen for your bun. Begin to twist until it reaches the base of the ponytail.